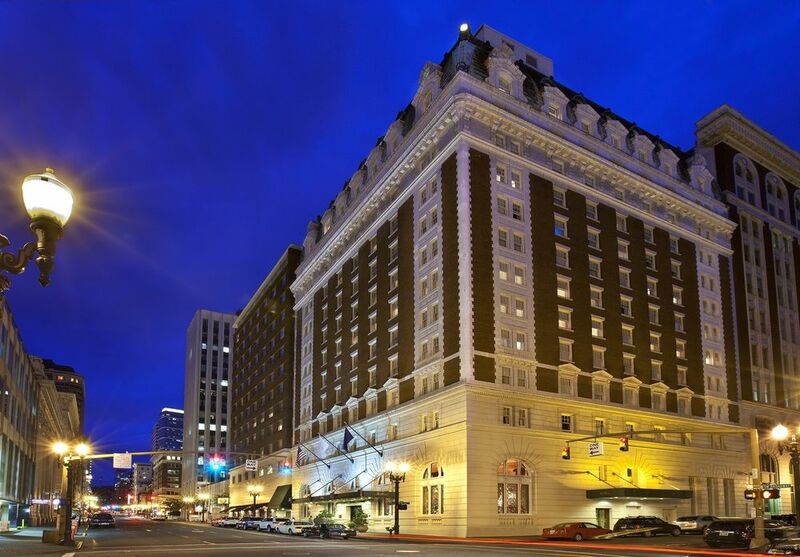 This year, the NLG returns to the Benson Hotel, where the Portland Chapter hosted convention in 2005. All major programming (workshops, panels, CLEs, plenaries), the keynote address, and the awards dinner will all take place on-site. A historic hotel in Downtown Portland (and unionized! ), the Benson is conveniently located within a few blocks of multiple MAX light rail stations, Pioneer Square, Waterfront Park, and local favorites such as Voodoo Donuts and Powell's City of Books. We have negotiated a discounted rate of $154/night (single or double rooms) for all bookings made at least 30 days prior to your arrival date. Book your room online here (select "Portland" under "Destination"), or call 888-523-6766 or 503-228-2000 and mention "National Lawyers Guild 2018 Convention" to receive the discounted group rate. Since staying at a hotel is cost-prohibitive for some, Portland NLG members are volunteering space in their homes where convention attendees to stay at no cost. To request alternative housing or to volunteer extra space in your home, please fill out the online forms below or at bit.ly/HousingRequests2018 or bit.ly/HousingOffers2018. NOTE: While we do our best to fulfill all alternative housing requests, we cannot guarantee alternative housing to everyone. Are you an NLG member in the Portland, OR area and have extra space in your home to offer a fellow convention attendee? Please fill out the form below. Many, many thanks! Looking for no-cost accommodations during the convention? Sign up to be paired with a local NLG member generously offering space in their home!